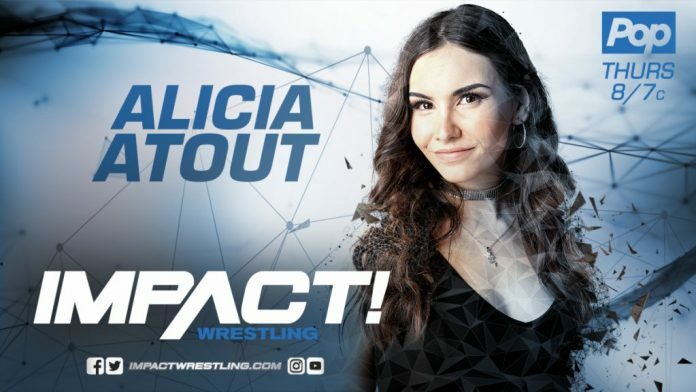 Impact Wrestling announced the hiring of Alicia Atout this week as their new backstage interviewer, officially replacing McKenzie Mitchell. Mitchell was quietly released earlier this week after two years with Impact. Atout commented on her hiring, while Mitchell commented on her departure via Twitter. With Impact becoming more centered in Canada under the ownership of Anthem and more PPVs and TV tapings taking place in Canada, the hiring of Atout continues down that path as she is from Canada. Prior to her hiring, Atout has done backstage interviewing for the Canadian independent promotion SMASH Wrestling and also hosts interviews with several performers in the wrestling and music fields on her website entitled AMBY.